With the use of 3D rendering, a project can start immediately and, overall, a substantial amount of time can be saved. When choosing a 3D rendering company, all you need to do is to ensure that they can easily allow you to provide them with the visualization parameters. Also, a good 3D rendering company will save you the time that might be needed in order to re-think your designs. The key is to be able to establish good initial communication between you and the designer. For example, the older, traditional “mood boards” are rapidly being replaced by more up-to-date 3D interior rendering. There’s no question that this is, by far, the better way to proceed. As such, it can be said that, in this digital world, 3D rendering is the logical progression from mood boards. This allows for clients to communicate faster with the designers and engineers. 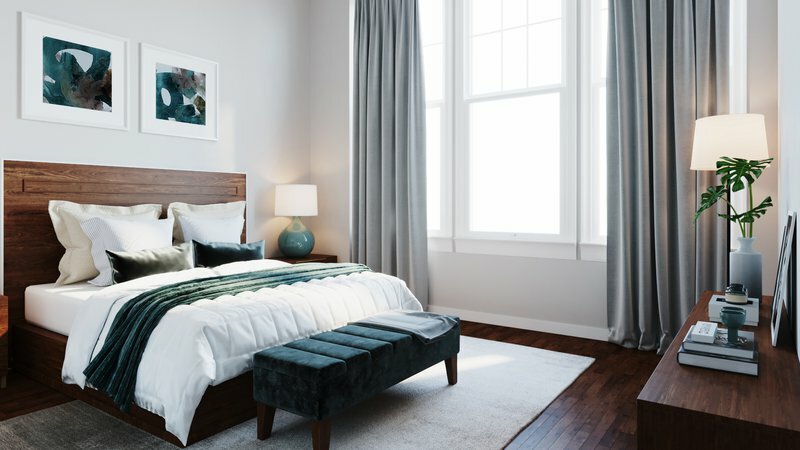 When you look at the cost of interior rendering, it can easily be seen that 3D rendering represents a more cost-effective solution for developers. At one time, this wasn’t the case. But prices have dropped dramatically due to advancement in technology, so it pays to check out what’s currently available. This is especially true when it comes to animation, which provides significant benefit/cost ratios and can make the difference when it comes to winning a lucrative contract. In addition, should a design change need to be implemented, it is far faster and easier to do this digitally than by older methods, which can also save a lot of money. It can be said that good architects and designers can readily visualize a design space through the use of 2D renderings. However, with the addition of that third dimension, a 3D rendering provides the additional benefit of actually bringing that rendering “to life”. This serves to elevate the designer’s level of comprehension and comfort with the design. In addition, this extra dimension is an excellent tool for marketing purposes. In general, there are usually several different concepts and available options for just about every project that you can imagine. These can include various different routes for projects involving transportation and appearances for a new building project’s interior. 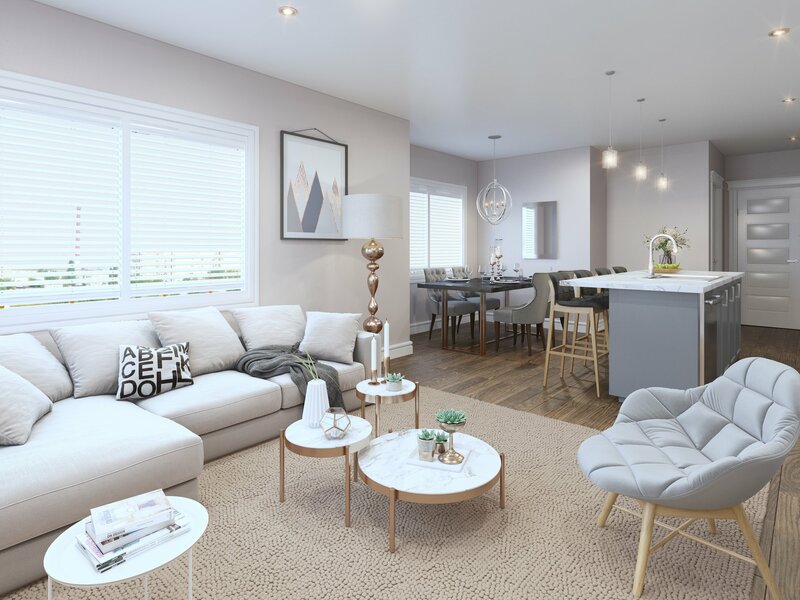 3D renderings can easily show clients and project managers a series of options that will illustrate to them what a project can look like should a different option be chosen. You can have the option to utilize actual Google Earth, technical drawings, project images and CAD data when it comes to creating highly accurate visualizations. Taking 3D rendering and blending them with photos can serve to be a cost effective and visually attractive way to present the vision of your project design(s). This is true for both interior and exterior designs. If you’re dealing with hard copies of your drawings and renderings, it can sometimes be rather difficult to share or distribute to others. However, with 3D renderings, your original drawings will be on a software medium. This makes it a simple manner to share them via email or you can easily carry them around in a space-saving flash drive. You can even upload them online to a password protected/locked section of your website or to a high-definition YouTube video. With YouTube, you can email the link to everyone who is involved in that particular project. The advantage with YouTube is that, with email, you may need to reduce the quality of the file. But with YouTube, others can view the renderings in a higher resolution. The average customer might not involve themselves with certain legalities when it comes to designs. However, it can be of great concern to architects and engineers. For example, remodeling or building homes, there is the consideration of deed restrictions that need to be addressed. 3D rendering can also help designers ensure that the neighbors of a particular project can remain comfortable with the new design parameters. These things are especially true with larger projects, such as; schools, hospitals and apartment complex interiors and exteriors. 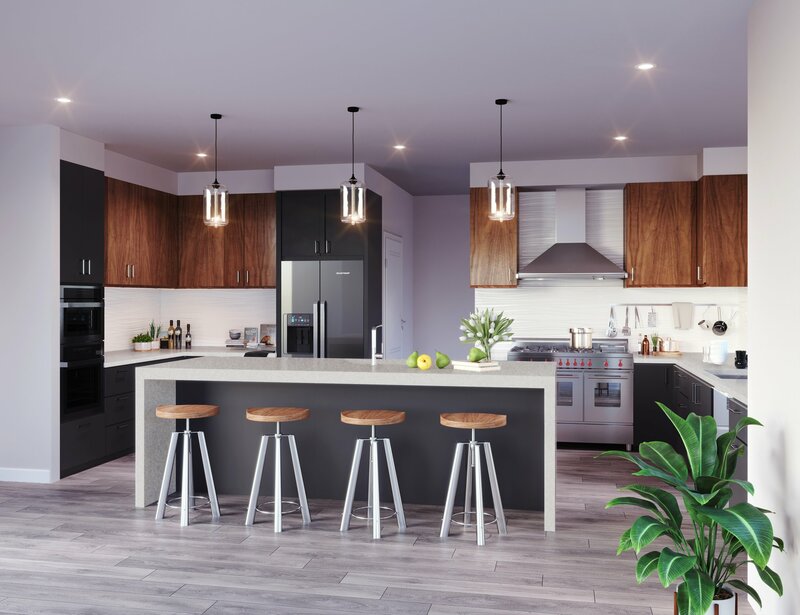 These days, real estate projects are using 3D renderings in order to facilitate their marketing efforts. One of the things that have promoted the use of 3D rendering has been the increase in sales, due to the efficiency of 3D rendering technology. Although, this may be seen as a re-stating of the other benefits of 3D rendering, in actuality, it can be seen as a comparison with companies that are still using hardcopy 2D drawings. These days, in many cases, the first thing that a project leader looks for is whether or not the bidding company in question is using 3D renderings or not. At that point, they may systematically eliminate any company that doesn’t utilize 3D. That’s because the readily accessible 3D renderings serve to eliminate many of the time-consuming hassles that are inherent with 2D drawings (especially when it comes to sharing with other department members). Not only that, but 3D renderings cannot be matched by 2D for their visual capabilities and exceptional beauty. When using 3D rendering in order to illustrate an existing structure that may be targeted for an add-on of some type of alteration, you will have complete control over the lighting. You won’t need to wait for the sun (either sunny days or a picturesque sunset) needed to capture your architecture/landscape. This is also when you want to present an interior rendering under different lighting conditions. For exteriors, a “before” image of the current architecture can be presented in a number of different scenes involving a number of different lighting and weather conditions. With 3D rendering, you’ll have complete control over the angle of the sun and the sunlight intensity. This can be critical when presenting an architectural rendering to a boardroom, a client or for use in online promotional advertising. A highly useful attribute of 3D rendering is its ability to provide consistency to your branding and marketing efforts over an extended period of time. It’s considered to be a mark of professionalism to have a consistent look, color scheme and “feel” when you’re presenting your renderings. But, this can be rather challenging when presenting your work in a 2D format. This is because there will be small differences in the 2D rendering format that may be completed by different individuals. However, with a 3D rendering, a precise look can be maintained due to a stored computer format specifically created for your brand. So, as you can see, there are advantages with 3D rendering technology that have allowed it to become more and more popular and has universally increased its use, as time goes on. While there may be an additional cost factor at the onset, eventually your 3D rendering setup will save time and effort and will more than pay for itself in the long run. This doesn’t even count the increase in your bottom line when considering the extra clients that you can acquire just by using 3D rendering models rather than 2D drawings. As time goes on, your brand will become a highly recognizable entity by using 3D rendering’s ability to be perfectly consistent in its type of presentations. In addition, by using 3D rendering, you will be able to present your company as a modern, cutting-edge organization.